A short car ride away, south of me, is a town called Monrovia. Monrovia is where a little (amazing) company called Railcar Fine Goods exist. And what they do is incredible. If you know me, you'll hear me say (a lot), "They just don't make clothes like they used to" ... because it's true. When in the vintage trade as I am, and after years of sifting through thousands and thousands (and thousands) of pieces of clothing, you can see first hand that they don't make clothes like they used to. At all. Today, the consumer buys clothes as items to be worn a couple times, used up, trashed, or whatever, and then they move on to something new. This wasn't the philosophy of the past. Clothes were made to last. You had a simple but quality wardrobe that lasted for decades, adding a piece or two here and there, taking out a piece or two here and there. 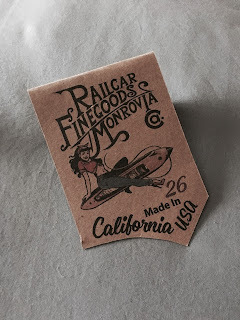 Railcar is one of the few companies (American made = major bonus) that exists to create denim that are quality, beautiful and made to last. Selvedge is a vintage way of manufacturing denim and since I live in vintage, love vintage, and surround myself with all things vintage, these jeans were a must. 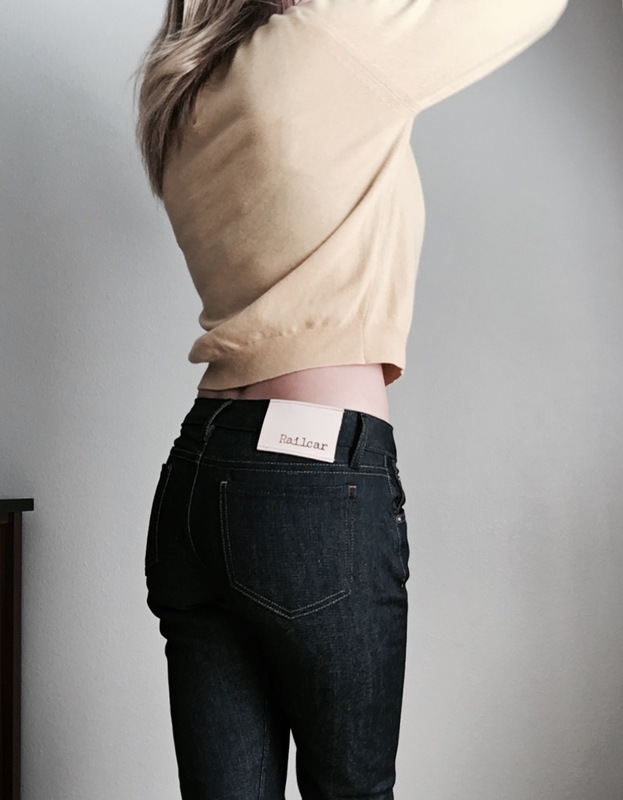 Check them out if you haven't ◄ educate yourself on selvedge (selvage) denim (here's also another great article ◄) and understand why I am so excited to wear these jeans. Next time I'm in Monrovia (which has been never, so that needs to change) I'm stopping by their brick and mortar.